Every year in May the world celebrates Menstrual Hygiene Day (MH DAY), underlining Menstruation as a basic but neglected biological process for women. 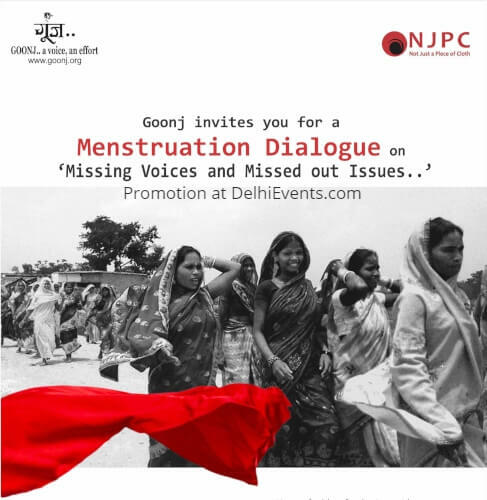 Working on this issue for more than a decade, among urban and rural women across India, Menstruation Dialogue; Missing Voices, Missed out Issues is our effort to bring into spotlight menstrual challenges of a vast majority of humanity still largely left out and also put the spotlight on some urgent menstrual issues that must be prioritized. We will also be recognizing and honoring best practices, taken up by organizations in diverse fields, to address menstrual challenges women face. If you or your organization has evolved and implemented some practices to ease this challenge, we are looking for you. We believe this dialogue will help bring these neglected aspects of menstruation into the spotlight.